The fate of America lies in the hands of one team of US SEALs. The US mainland is under threat as never before. Osama bin Laden is dead, and the world can relax. Or can they? Remaining leaders of Al-Qaeda want revenge, and they want it against the USA. When good fortune smiles on them and the opportunity presents itself to use stolen weapons of mass destruction, it's Game On! Al-Qaeda leaders devise a plan so audacious if it succeeds it will destroy the USA for good. With help from Iran and from a US Navy traitor, it can't fail. Tens of thousands of Americans will perish. One team of US SEALs stand in their way. One team of US SEALs can save America and the West. However, time is running out. Will they be too late? 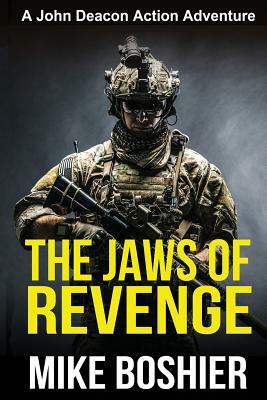 If you love fast-paced, exciting action thrillers, you’ll love The Jaws of Revenge. Buy it today!